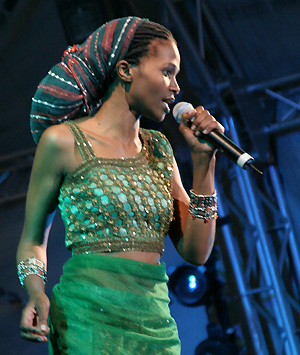 Simphiwe Dana, with her earthy voice that really gets under one’s skin, is one of the greatest success stories in South African music. Born and Raised in the Eastern Cape, her name means ‘she has been given to us’ and many of her fans would agree that she is just that, a gift to the SA music scene. In a short period of time this Soul Sistah has become one of South Africa’s favourite daughters. Her music has a fresh sound and her unique voice complements it perfectly. It is credit to her immense schooling in different musical forms, not to mention her talent that Dana sings as if she has known a lot of pain and suffering in her life. Musically schooled in a church choir and a school choir from her native Eastern Cape (former Transkei homeland), the distinct influence of gospel music can be heard on her first album “Zandisile”. As the apartheid era came to a close Simphiwe Dana started off by studying IT and graphic design. But after moving to Johannesburg, the hub of the South African music industry, it was her appearances at open-mike sessions that immediately caught the attention of established musicians and producers. They eventually resulted in the recordings for her first album. When asked about direct influences, Simphiwe Dana names Miriam Makeba, Madosini, Bob Marley, Fela Kuti, Salif Keita, Mercedes Sosa, Ali Farka Toure, Busi Mhlongo, but also lesser greats from the realms of reggae, jive and traditional Xhosa music. She defines her own style as Modern African Soul. Simphiwe says that her music is mostly influenced by what is going on in people’s daily lives. Her lyrics speak mainly of the significance of tradition, of self-confidence and freedom, especially freedom for women but also of the struggle that black people are going through, despite South Africa’s supposed freedom, and status as a democracy. Simphiwe plays Mama Mandisa, the lead role in the movie THEMBA (book written by Lutz Van Dijk, Co-Founder of HOKISA). It is her first role as an actress - and has deeply impressed all audiences having seen it so far. Set predominantly in the spectacular Eastern Cape of South Africa and in our township community Masiphumelele, THEMBA, is the moving story of a young Xhosa boy who dreams of being a soccer star and longs for his absent father to return home. His non-idyllic childhood in the rural Eastern Cape comes to an abrupt end when his mother (Simphiwe Dana) is forced to look for work in Cape Town after losing her job, and he and his sister are left in the care of her lover. After Themba is raped by Mandisa’s lover, he and his sister go to look for their mother in Cape Town even though his soccer team stands to win the Eastern Cape Junior championships. They find her dying of AIDS. Themba has to face the fact that he, too, is infected. Against all odds, he realizes his soccer dream and plays for Bafana Bafana. He is doing everything to get ARV treatment for his mom who starts slowly to recover. This gives him the courage to take a public stand and tell the world that he is HIV positive. 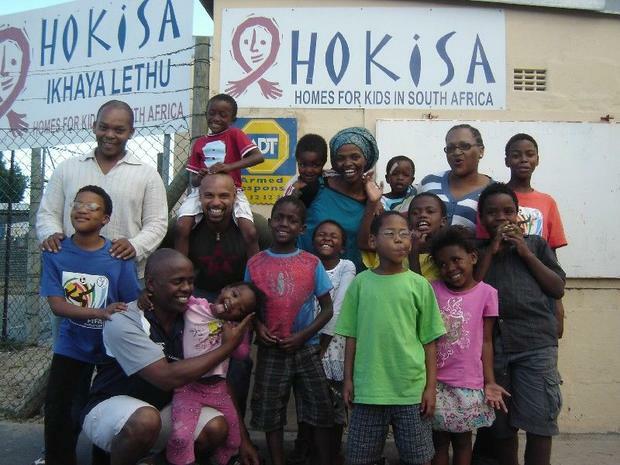 We are honoured that Simphiwe has chosen to be our ambassador and we are also privileged to share time with her and her family. ← Heather Howells Runs For HOKISA…, AGAIN! Leider sind die Übersetzungen ins Deutsche nicht sehr korrekt,es gibt in C.T. so viele Leute, die perfekt in beiden Sprachen sind oder wo werden die Übersetzungen gemacht?? ?Brauchen Sie Kontaktadressen? That's a great music! I wonder why such a small audience knows about her talent. I wish more people would interest in the local performers. Its a great pleasure examining your post. Its loaded with information I am searching for and I actually like to upload a remark that. I am fairly much happy together with you are correctly working. You located practically very helpful information hold it up. Service acknowledgments continue to be in existing times collecting to acquire website launched, participated in addition to additionally held on the internet. Signing up with the quick requirement, the marketplace is seeing mushrooming of a number of site design in addition to development teams.